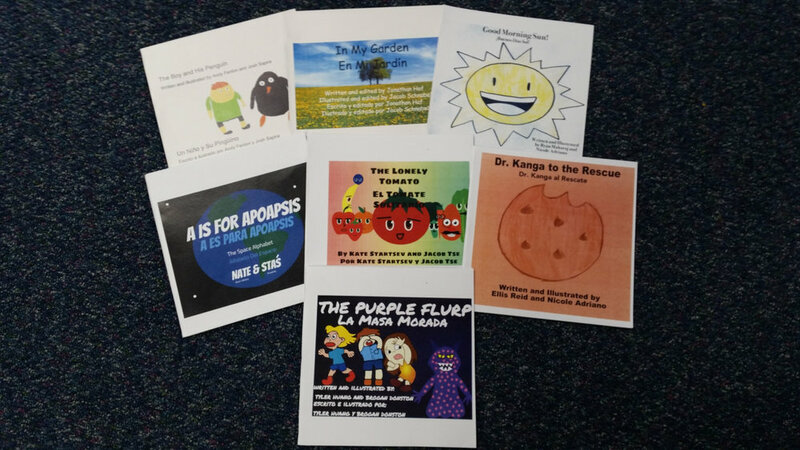 Middle School students produced bilingual books that they shared with both Upper and Lower School friends. After numerous weeks spent writing, editing and illustrating their books, the students used a newly acquired glue-binding machine to assemble their finished products. Earlier this week, they visited their younger friends to read aloud their original stories. Toddlers to Upper Elementary students appreciated the creativity and imagination involved in each of these books.